The nationwide tour honoring the life of Joe Hill, presented by Crossroad Music, stopped in West Philadelphia on July 25. I just joined the I.W.W., Philadelphia Branch, and I’m now a proud, card-carrying member. 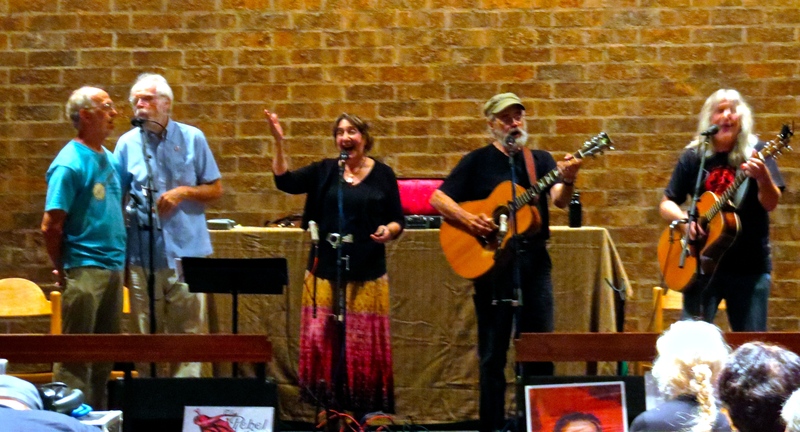 This concert provided the opportunity to connect to the music of labor activism and to honor Joe Hill. The previous post, Celebrating Joe Hill: 100th Anniversary, November 19, 1915, Part 1, provides a brief history of Joe Hill’s life and his association with the Industrial Workers of the World. The anniversary tour began in Chicago and will finish with their last concert in Salt Lake City. 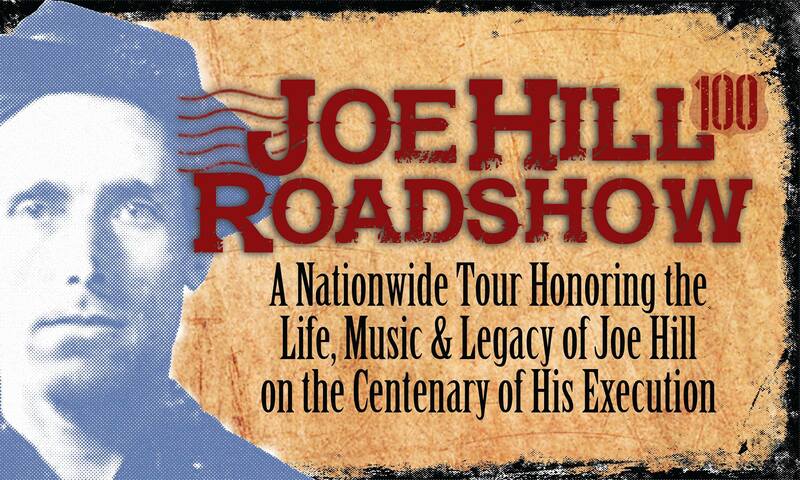 A complete listing of the tour dates is available at Joe Hill 100.com. The Roadshow in Philly featured the folk duo Magpie, singer-songwriter Charlie King, and protest singer George Mann. Terry Leonino and Greg Artzner have been touring as Magpie since 1973, performing a poignant and lively mix of folk, jazz and blues. Charlie King sings and writes about the extraordinary lives of ordinary people. Pete Seeger described him as “one of the finest singers and songwriters of our time.” Reference: Jon Bekken, Joe Hill Roadshow will be in Philly this Weekend. We face problems on a scale that we have never faced before — but they are solvable if we don’t ignore them. The solutions require building powerful social and political movements — and people do find a way to do that even in the darkest times. Today, we have the tools to guide this process more intelligently and nonviolently. The moral arc of the universe does bend towards justice — if we harness ourselves and help it to bend. Today, when the gap in wealth and income between the richest and the rest of us is greater than at any time since the 1930s, it’s a good time to remember that Joe Hill worked for justice for all workers around the world. The concert turned into a sing-a-long, as all the music is singable and many in the audience were familiar with the words. George Mann sang, “Which Side are You On,” written in 1931 by Florence Reece, the wife of a union organizer for the United Mine Workers. Florence borrowed the melody from a traditional Baptist hymn. Then don’t organize, all unions despise. Shake hands with your boss and look Wise. Then we our share of this earth shall demand. Come on! Do your share, like a man. Before the song, George read a letter to the editor of Solidarity from Joe Hill. Near the end of the program, audience and musicians joined in singing “Solidarity Forever,” a song sung to the tune of “John Brown’s Body” and “The Battle Hymn of the Republic.” Although the song was written for the I.W.W, other union movements have adopted the song as their own. 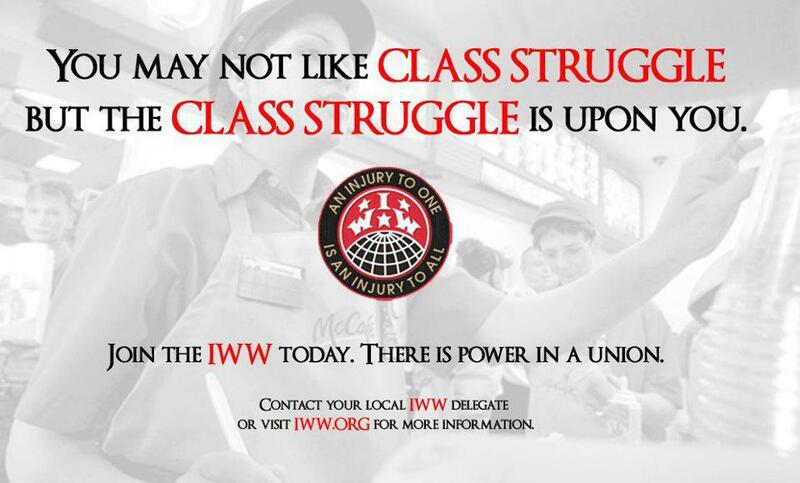 A progressive union since its founding in 1905, the I.W.W. has been committed to anti-racism, and at its height, counted among its supporters radical and class fighters. One hundred years ago, Joe Hill understood and advocated for social justice. His songs stay in our political consciousness, encouraging and guiding us toward one big union for all. Joe Hill, a Swedish born, American labor activist and songwriter, wrote union songs for his organization, the Industrial Workers of the World (I.W.W. ), popularly known as the “Wobblies.” The I.W.W., an international union, advocated direct action in the form of boycotts, strikes and sabotage. However, adversaries of the I.W.W., including some historians as well as industrialists, government officials, press and religious organizations perpetuated the idea that I.W.W. members were dangerous terrorists. Almost from the founding of the organization, their philosophy and tactics aroused intense fear and hatred by those in power. The I.W.W. garnered significant publicity during the western free speech movements of 1906-1917, resulting in hostility and fear directed toward them, unparalleled in American history. I.W.W. positions advocating class conflict and revolution in provocative language that mocked societies’ sacred cows of patriotism and religion contributed significantly to officials’ concern about labor conflicts. Joe Hill joined the IWW in 1910 and wrote songs to encourage his fellow workers to join in solidarity to fight for their rights. His songs were first published in the March 1916 edition of the Industrial Worker in the Little Red Songbook. During his lifetime, Joe wrote over thirty songs, including Casey Jones, The Preacher and the Slave, Dump the Bosses off Your Back, Rebel Girl and There is Power in the Union. In a controversial trial, a jury convicted Joe Hill of murder. Despite appeals and international calls for clemency, the state of Utah executed Joe by firing square in on November 19, 1915. 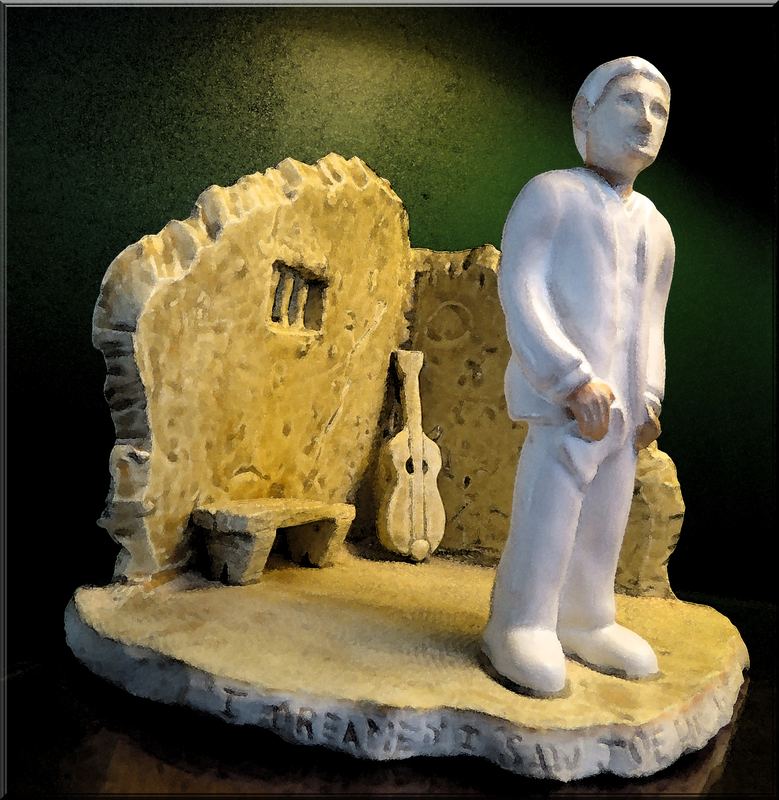 Professor Ron Yengich and his students have posted a website, The Joe Hill Project, on Joe’s life and the trial. Joe’s remains were sent to Chicago where thirty thousand people attended his funeral. Envelopes with his ashes were sent to I.W.W. chapters and supporters, and on May Day 1916, friends and members of his union scattered his ashes in every state and throughout the world. In 1988, an envelope seized by the United States Post Office turned up. Labeled as “subversive potential,” the envelop was left at the National Archives. Members of the I.W.W. in Chicago laid claim to the contents. Several stories in I.W.W. lore claim that theses ashes were then scattered. However, it seems that one bit of Joe’s ashes was not cast to the wind but rather held at the union headquarters. I was asked to make an urn to hold these last remaining ashes. 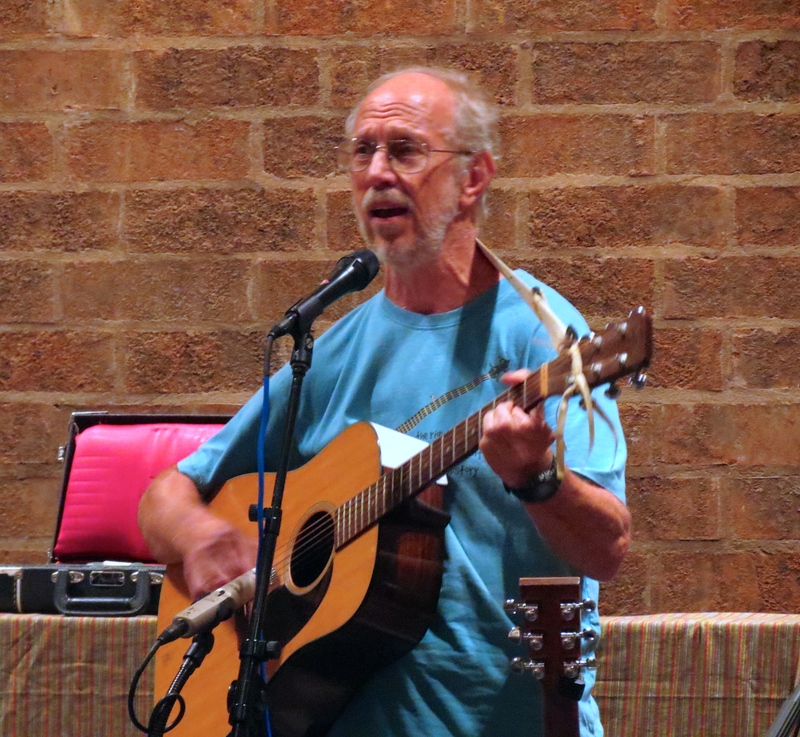 Joe has been memorialized in folk songs, and Paul Robeson, Pete Seeger, Joan Baez, Utah Phillips, Bruce Springsteen and Si Kahn have performed his songs. Joe’s immortal words have been the rallying cry and inspiration to union and labor organizers ever since. Don’t waste time mourning, organize! Joe Hill’s songs can be played from this website, Songs of the Wobblies. 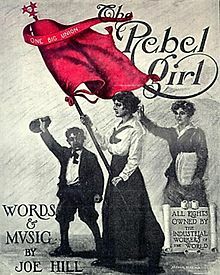 Many people believe that May Day is a socialist or communist celebration, when in fact the May Day holiday grew out of the eight-hour working day movement in the United States in 1884. The struggle for a shorter workday began in the factories as the unions pressed their employers for shorter hours and higher wages. At that time, millions of people were out of work. During the convention of the Federation of Organized Trades and Labor Unions announced that eight hours “shall constitute a day’s work from and after May 1, 1886.” Honoring May Day is an important part of our American heritage, and in Philadelphia Elmwood Park provided the perfect place for a rally and celebration in front of the monument by Irish artist, John Kindness, which stands as a tribute to the American worker. 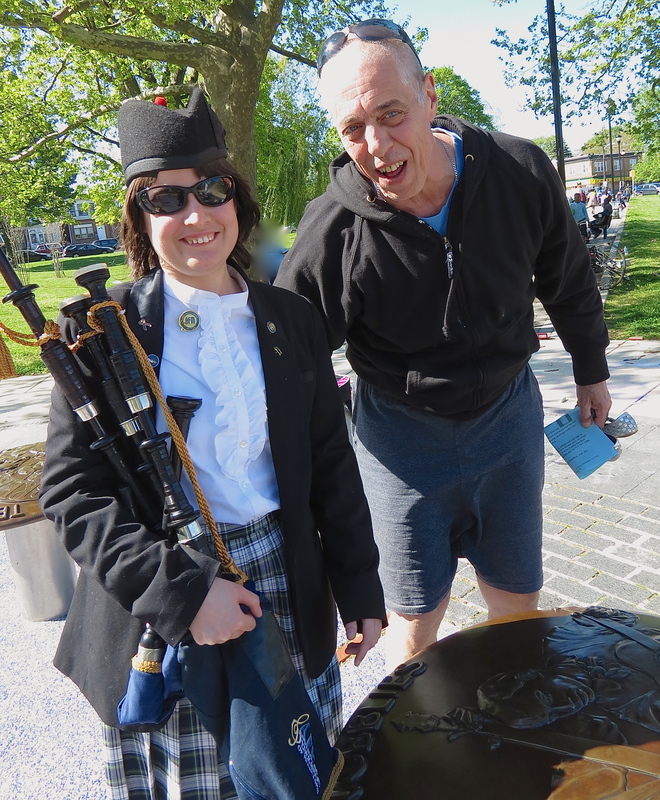 Alexandria with John Jerzak, member of Friends of Elmwood Park who advocated for the labor memorial. a socially conscious singer song-writer and community leader who leads crusades against local and global economic injustice, rallying people with his music, and he organizes them to take action.He tells his stories from the heart about people who are affected by unemployment, or social injustice or war. 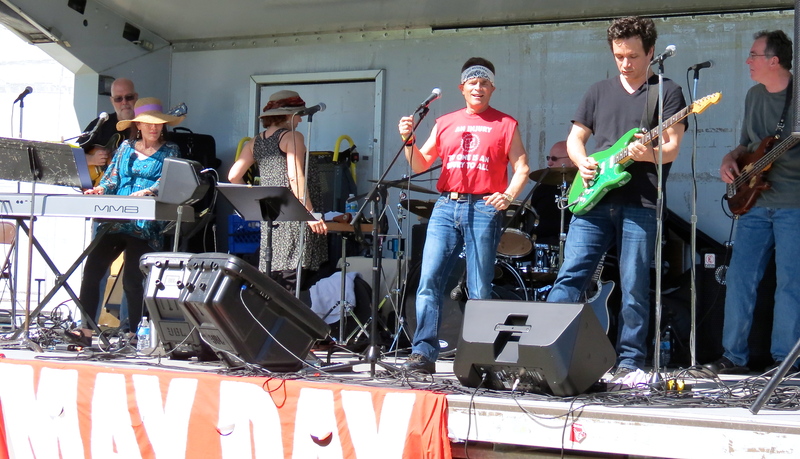 Other musicians performed including K&A Mob, Tha Truth, Dina Yarmus and Maryta Fields, who sang the National Anthem. Pete Matthews-AFSCME DC 33, Gwen Ivey-APWU 89, Cathy Scott-AFSCME DC 47, John Johnson-TWU 234, Helen Gym-Parents United for Public Education, Philadelphia Student Union, Chicago Teachers Union 1, Cathy Brady-Friends of Elmwood Park & SEIU HCPA were some of the scheduled speakers. A member of the Chicago Teachers Union, Andrew Heiserman, shared stories of their courageous battle against the city’s austerity measures against the schools. . Sonia Sanchez, Philadelphia’s Poet Laureate, spoke about peace benches. Jim Moran presented the Aggie Moran Human Rights Awards to Sonia as well as to labor historian, Alice Hoffman, labor rights campaigner, Barbara Rahke, and the Restaurant Opportunities Center. The “SRC 19,” the activists arrested at the last School Reform Commission meeting in Philadelphia when the SRC voted to close 23 Philadelphia Public Schools, were also honored. Occupy Philly Food Committee provided a great selection of food: sandwiches, bbq, salads, cake and beverages. For many years now, a social justice movement has been underway to create awareness the working conditions and wages of farm and migrant workers who pick the fruits and vegetables that we eat. According to the report, “Toward Social Justice and Economic Equity in the Food System,” the public is increasingly attracted to goods produced under socially just conditions.” Fair trade and sweatshop-free products have become popular with consumers. But what are the conditions that workers face in the manufacture of our electronic devices, and what is our responsibility as conscientious consumers to support fair workplace practices for these workers? Do we think the skill levels required to work in this field would offer fair pay and good working conditions? I believed that the stunning success of the iPad, which Apple sold over three million in three days back in November 2012, would benefit their employees, as well as their stockholders. What I learned was that Apple uses an intermediary company, Foxconn, to manufacture their products. While Apple has a positive image as an employer, Foxconn employment practices have come into question. Ironically, Apple reported that, “we’re working hard to build more quickly to meet the incredible demand,” but the question raised here is exactly who is working hard and are these workers pushed to the extreme to meet the marketing demand? Unfortunately, conditions in many of these plants operated by Foxconn in China, as well as in other countries, reveal that many workers are subject to exploitive practices. 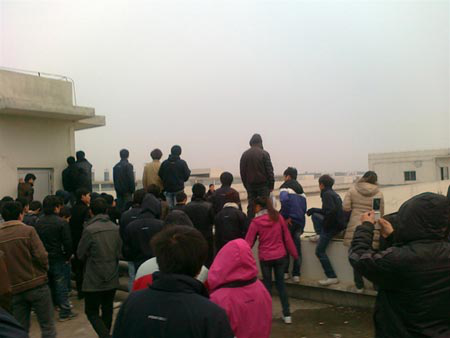 In April 2011 the story broke that seven Chinese workers had committed suicide. The Guardian reported that Chinese sociologists condemned workplace practices that served as a “model where fundamental human dignity is sacrificed for development.” The article continued . . . In Shenzhen and Chengdu a joint Foxconn workforce of 500,000 is providing the labour that, in the first quarter of 2011, contributed to Apple Inc net profit of $6 billion (£3.6bn). Interviews with mainly migrant employees and managers have laid bare the dark side of those profits: a Dickensian world of work that would be considered shocking in the west. To bring attention to the problem of worker exploitation in these factories, on April 21, 2013, The Wooden Shoe, IWW and Solidarity sponsored an activist from Germany, Ralf, to speak in Philadelphia. Ralf’s talk was based on gongchao.org’s collective research and activity around the struggles of migrant workers, and he presented photos and films to explain the situation at Foxconn. Ralf focused the discussion on ways to support the iSlaves, relating their struggles to our own labor issues. 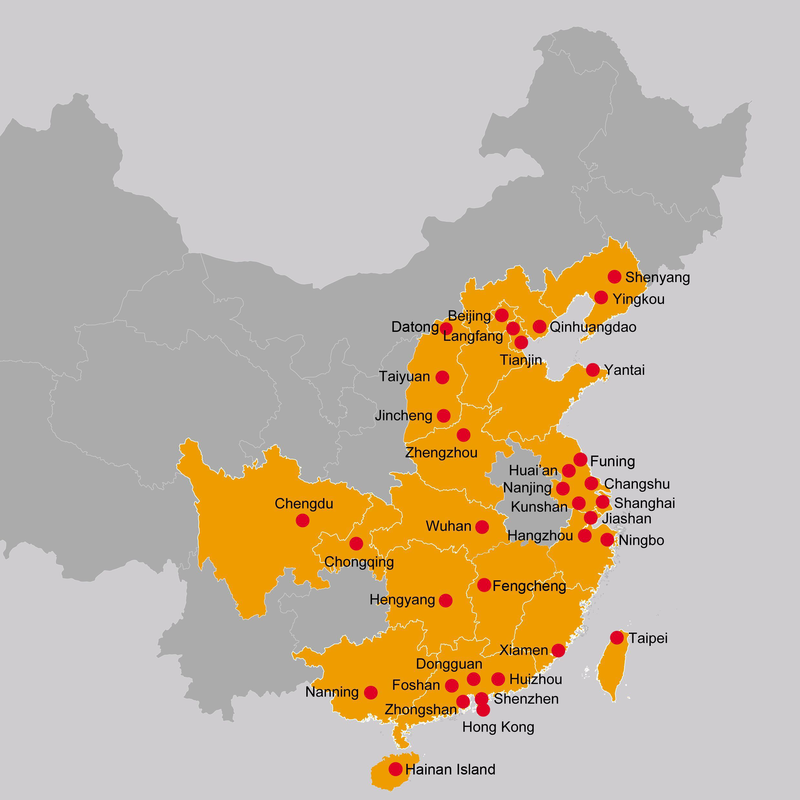 Formed in September 2008, gongchao researches and documents labor unrest and social movements in China from the perspective of class struggle, migration, and gender. The website offers both analytical texts and workers’ stories. While the web has a number of resources and webpages on working conditions in China, hearing the stories first hand from Ralf brought the reality closer to home. In the coming weeks, Ralf will be in Washington, Detroit, Chicago, Madison, Saint Paul, Minneapolis, Seattle, Bay Area and Los Angeles. You can click on this link for the details of his schedule. The Wooden Shoe: A Philadelphia collectively-run, anarchist book store and educational space supported by volunteers. Anarchism: Political philosophy advocating that people are better served if they make decisions for themselves and communities rather than from any form of centralized power structure. IWW: Industrial Workers of the World, member-run union for all workers. 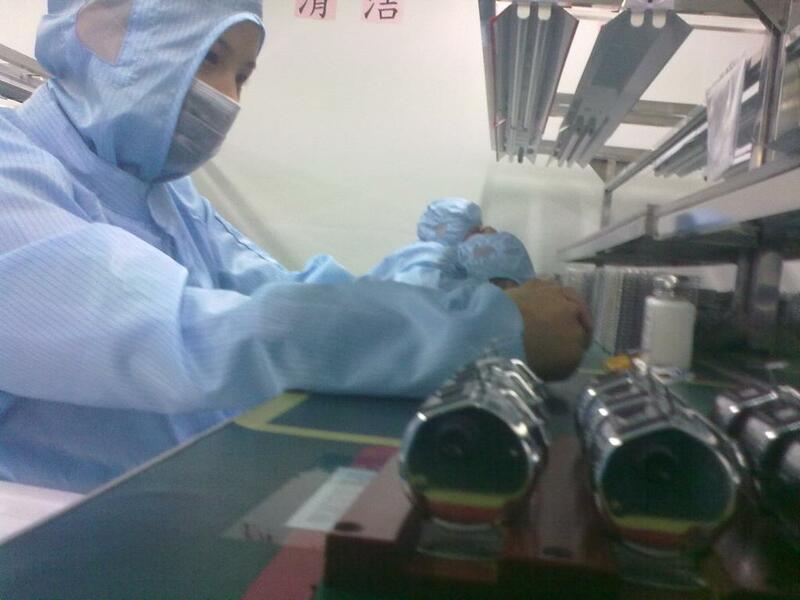 iSlave: Work Struggle at Foxconn in China. Gethin Chamberlain, “Apple Factories Accused of Exploiting Chinese Workers,” The Guardian, April 30, 2011. Jemima Kiss, “The Real Prices of an iPhone 5: Life in the Foxconn Factory,” September 13, 2012. Apple and Foxcoon: Work Conditions, Problems and Changes. 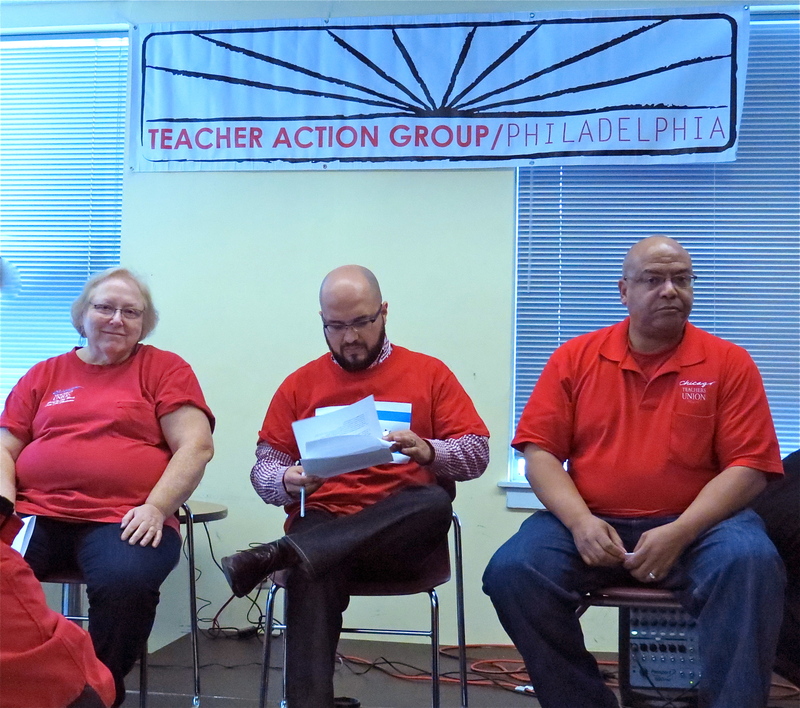 On Saturday, November 17, representatives of the Chicago Teachers Union, Michael Brunson, Debby Pope, and Rolando Vasquez, spoke to an enthusiastic crowd in Philadelphia about their strike in September 2012. According to the mission statement of the union, which represents nearly 30,000 teachers and support staff, they by extension also represent students and families they serve. This is truly the goal of unionism: to consider the big picture in advocating for better working conditions and pay, progressive reforms in society and democracy the work place. The union has addressed issues on charters, privatization and standardized tests. The union has also confronted the demonization of teachers and organized labor. In the past corporate-model school reformers dominated the discussion around issues of accountability and standardized testing; Chicago teachers have focused on funding, poverty and inequality. Chicago teachers were successful because militant grassroots leadership from the Caucus of Rank and File Educators (CORE), guided the union membership in 2010 to build unprecedented community and parent support for educational reform. Philadelphia schools have suffered drastic cuts under Gov. Tom Corbett and the confrontation continues over a radical restructuring and privatization plan advanced by the state-controlled School Reform Commission and backed by the powerful William Penn Foundation. In response, this past September hundreds gathered to found the Philadelphia Coalition for Advocating for Public Schools (PCAPS), a broad union-community coalition set to counter the Boston Consulting Group-drafted restructuring plan. PCAPS asks for your advice by completing a public education survey to aid in developing a plan in which the citizens can contribute their ideas. Video below features selected comments from the panel. Social justice unionism, democracy in the workplace, shared leadership and responsibility are ideals shared by the Industrial Workers of the World. As the labor movement embraces these principles, mobilization will continue to grow and resist monied interests that obstruct educational reform. Event Sponsors: Labor Working Group (created during Occupy Philly) and the progressive Teacher Action Group (TAG).